Enjoy conservation living from your covered lanai in Eagle Landing! 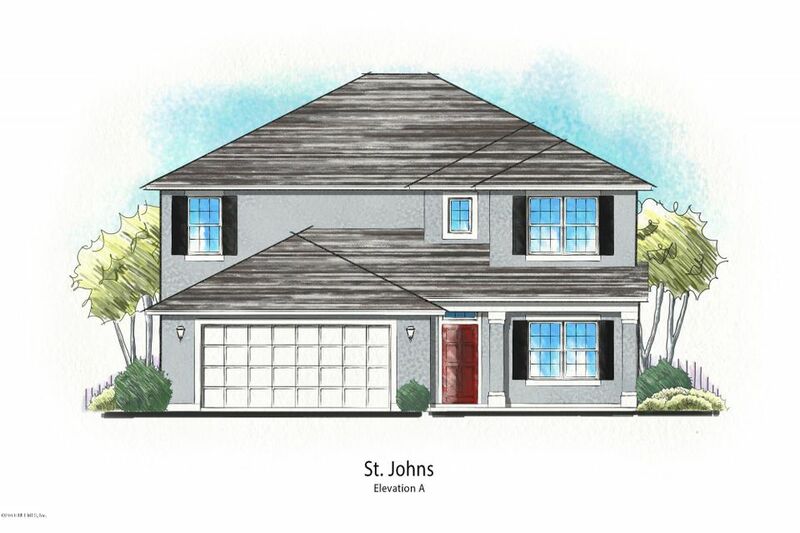 Estimated Completion February 2018 **Sample images may not be of exact home and are meant for conceptual purposes only** The St. Johns house layout accommodates a large family with an oversized Owner's Suite on the first floor. Owner's Bath offers a walk-in shower, garden tub and 2 walk-in closets. A custom second floor with 4 additional bedrooms and a loft for the children to enjoy. Upgraded kitchen options with Stainless Steel appliances including refrigerator & granite California countertops. Double oven tower included as well ~ Washer & Dryer provided by the builder along with 2'' white blinds throughout. Dream Finders Homes pays all closing costs and prepaids with the use of Builders Preferred lender. This home has been on the market since Jan 04,2018. Courtesy of DREAM FINDERS REALTY LLC.